The Supreme Court Tuesday asked the Centre to examine the feasibility of setting up Motor Accident Mediation Authority (MAMA) in every district by making necessary amendments in the Motor Vehicles Act so that road accident claims can be settled amicably at the earliest. The top court, which observed that road accident is a "harsh reality" in India, said large number of accidents is giving "rise to phenomenal quantum jump" in claim cases, and methods like mediation is needed to be adopted for quick resolution of such disputes. "Time is ripe now to have similar (mediation) mechanism for settling accident claims as well. Therefore, the suggestion of establishing MAMA is laudable. We recommend to the Government to examine the feasibility of setting up MAMA by making necessary amendments in the Motor Vehicles Act itself. In fact, the way mediation movement is catching up in this country, there is a dire need to enact Indian Mediation Act as well," a bench of Justices A K Sikri and S A Nazeer said. The top court said that till the time such an amendment is made by Parliament, the National Legal Services Authority (NALSA) should take up this work as a project and a complete report or module should be made within two months about the functioning of Motor Accident Mediation Cell (MAMC). "In the interregnum, NALSA is directed to set up Motor Accident Mediation Cell which can function independently under the aegis of NALSA or can be handed over to MCPC (Mediation and Conciliation Project Committee). Such a project should be prepared within a period of two months and it should start functioning immediately thereafter at various levels as suggested in this judgment," the bench said in its judgement. It said that this project by NALSA can be shared with all state legal services authorities (SLSAs) so that they can implement it through their respective district legal services authorities. Dealing with the issue of mediation, the bench said, "We impress upon the government to also consider the feasibility of enacting Indian Mediation Act to take care of various aspects of mediation in general." The court also said there is a "dire need" for deciding the accident claim cases without delays and within a reasonable period. It referred to an earlier apex court judgement of 2017 in which the court had directed all the states to implement the Modified Claims Tribunal Agreed Procedure formulated by the Delhi High Court in December, 2014. Reiterating the directions passed by the court in 2017, the bench asked NALSA to take up the issue in coordination and cooperation with various high courts. "MACAD (Motor Accident Claims Annuity Deposit) scheme shall be implemented by all claim tribunals on all India basis. 21 banks, members of Indian Banks Association, who had taken decision to implement MACAD Scheme would do the same on All India basis," the bench said. The apex court also dealt with the issue about ensuring receipt of compensation awarded by the claim tribunals in the "safe hands" of road accident victims or his kin. "We impress upon the government to look into the feasibility of framing necessary schemes and for the availability of annuity certificates. This exercise may be done within the period of six months and decision be taken thereupon," the bench said. It also noted in its judgement that earlier direction for implementation of the claims tribunal agreed procedure, which has been substituted by modified procedure were already there but it was not properly implemented by the claims tribunals. "Likewise, we direct that there should be programmes from time to time, in all state judicial academies, to sensitising the presiding officers of the claims tribunals, senior police officers of the state police as well as insurance company for the implementation of the said procedure," the bench said. The top court delivered the judgement on a plea filed by an advocate, who had met with a road accident in 1988 and is suffering from 40 per cent permanent disability. Dealing with the issue of road safety and compensation, the court said focus should be on ensuring access to justice for victims of road accidents and also to bring about a mechanism which prevents delays in awarding compensation to them. 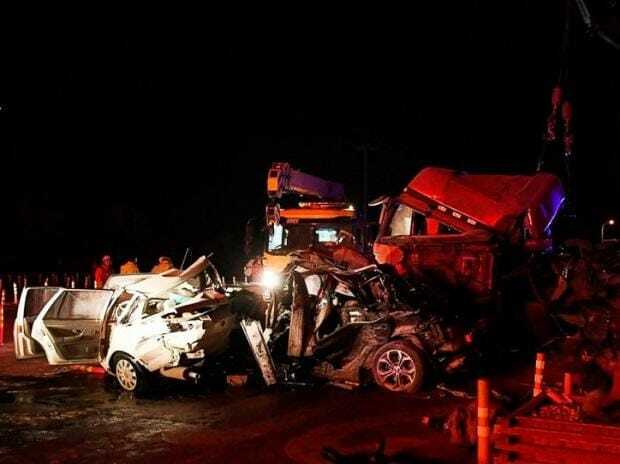 "Whatever steps are taken by the authorities for reducing road accidents, harsh reality is that accidents would keep on happening," the bench said. "There may be a possibility of reducing the number of road accidents, but occurrence thereof cannot be totally eliminated. Such accidents, particularly fatal accidents, would always lead to filing of claims by the victims and/or kith and kin of victims, for compensation," it said. Regarding disputes over claims in such cases, the court observed there is a need to resolve the same at the earliest as compensation may be badly needed by the claimant and delay may bring "insurmountable sufferings" of various kind. It said that mediation in resolving such disputes would be of great significance as "advantages of mediation are manifold". "This (mediation) stands recognised by the Legislature as well as policy makers and need no elaboration. Mediation is here to stay. It is here to evolve. It is because of the advantages of mediation as a method here to find new grounds. It is here to prosper, as its time has come," the bench said.